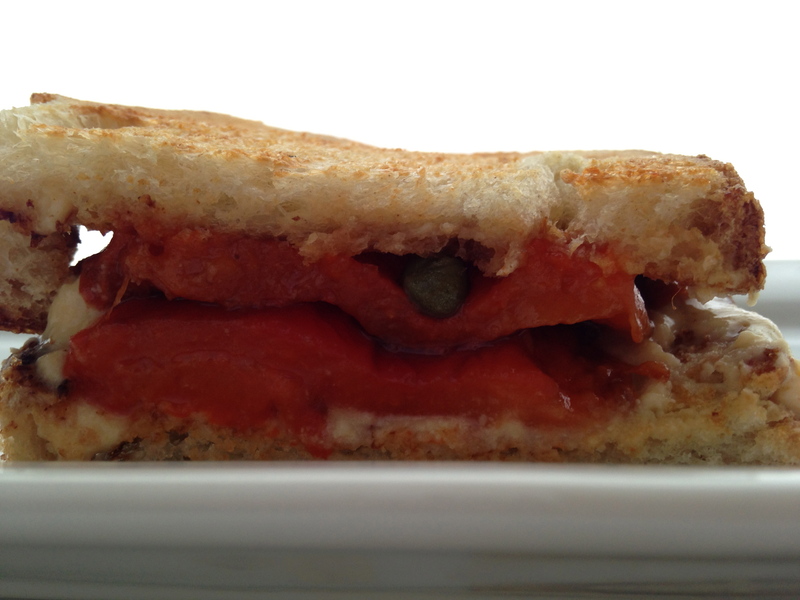 In my quest for the perfect sandwich, I have been making a lot of combinations. 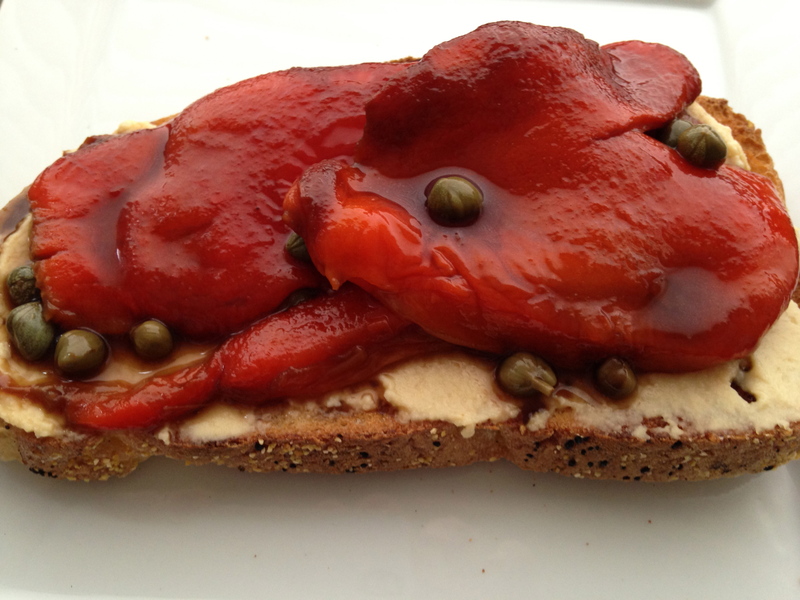 I LOVE balsamic vinegar with hummus so I marinated the roasted red peppers with balsamic, some capers and then placed them on top of the hummus. A great sandwich. Roast the peppers beforehand. If the peppers are a day or two old, there will be lots of red pepper juice which is great for sauce but for this I like to drain it. Then add the balsamic and capers and marinate for as long as you have time for. Toast the bread. Spread the hummus on the toast. Spoon out the capers and drop them onto the hummus. Top with the marinated roasted red pepper. Top with the other toast. Enjoy! How much oil is in your Passover Vegan Walnut Lentil Pate? i have no exact amount but about enough to lightly coat the bottom of the pan.